Are you sick and tired of mainstream music - loaded with occult symbols, witchcraft and other satanic messages - which is constantly pushed down your throat by the corrupt music industry? No filth, no satanism, no NWO - only beautiful music with the message of love. 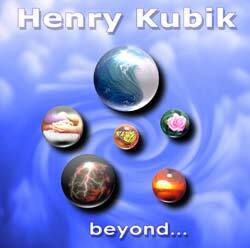 This is why Henry Kubik will never be supported and promoted by demons of NWO and the mainstream media. The style of The Touch is unique but can be loosely described as Ambient Sensitive, warm and feminine, yet at the same time powerful and demanding; this music will touch you deeply. Strong rhythms and beautiful melodies glide together to create an unforgettable experience which is different for the listening of every individual. 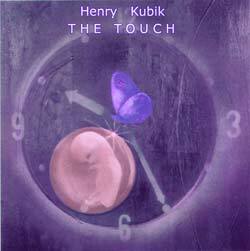 Haunting electronic sounds are blended with original percussion and pan flutes to evoke powerful human emotions. Beyond what? Maybe... Beyond ... "The Touch"? No questions asked, but please use only for your personal enjoyment. Don't copy the songs via peer to peer networks, but rather send the link to this page to your friends. And if you use the songs for comercial purposes, the usual (c) rights will apply. If you like it a lot, please consider a small payment. That would make possible any new releases in the near future.